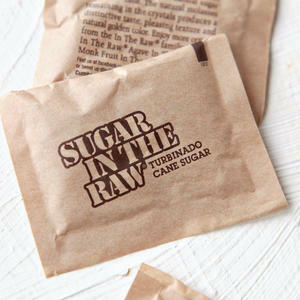 Turbinado sugar is minimally refined cane sugar with large, light brown crystals. Because of its color, turbinado sugar is often confused with brown sugar, but it's more closely related to standard white, granulated sugar. Since turbinado sugar undergoes less processing than white sugar, it retains more of sugar cane's natural nutrients and can also be enjoyed by vegans. Turbinado's large crystals hold moisture better and caramelize easily, making them a diverse addition to the pantry.